The pull along train by Bloomingville helps kids develop fine motor skills in a fun way. The locomotive with two train carriages is ideal for children who dream of being train drivers or simply love trains. The wooden train includes blocks that can imaginatively stacked onto the carriages and transported to the desired destination. The train, the carriages, and the blocks are made from lotus wood that has been varnished or lacquered black, white or grey. At the front of the train there is a textile cord that allows little ones to pull the train wherever their heart desires. 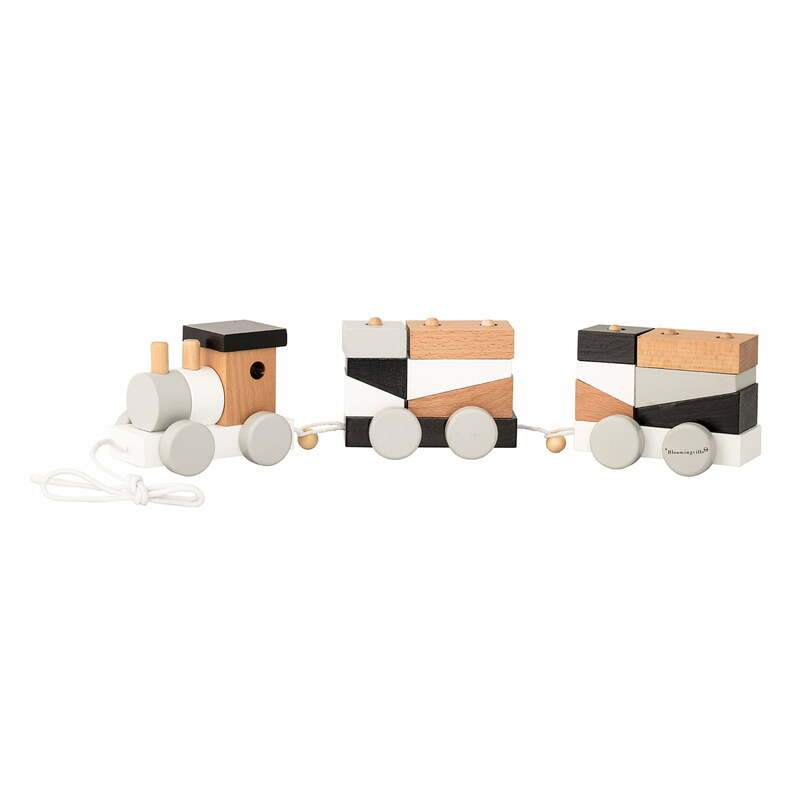 Isolated product image of the wooden train set by Bloomingville: The train, the carriages, and the blocks are made from Lotus wood that has been varnished or lacquered black, white or grey. 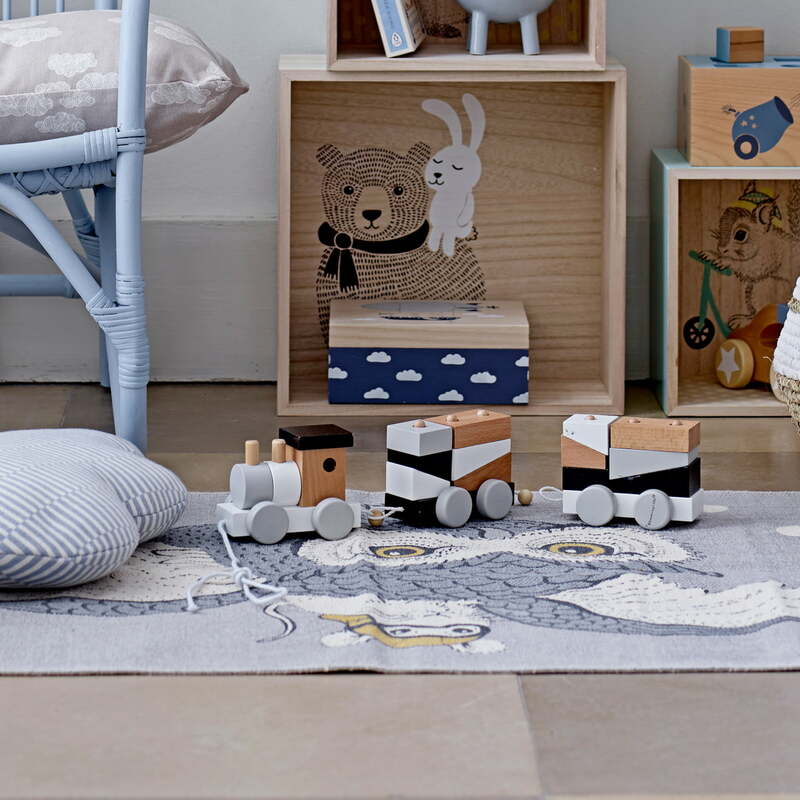 The pull along train by Bloomingville is the perfect way to keep kids active while playing. The locomotive with two train carriages is ideal for children who dream of being train drivers or simply love trains.